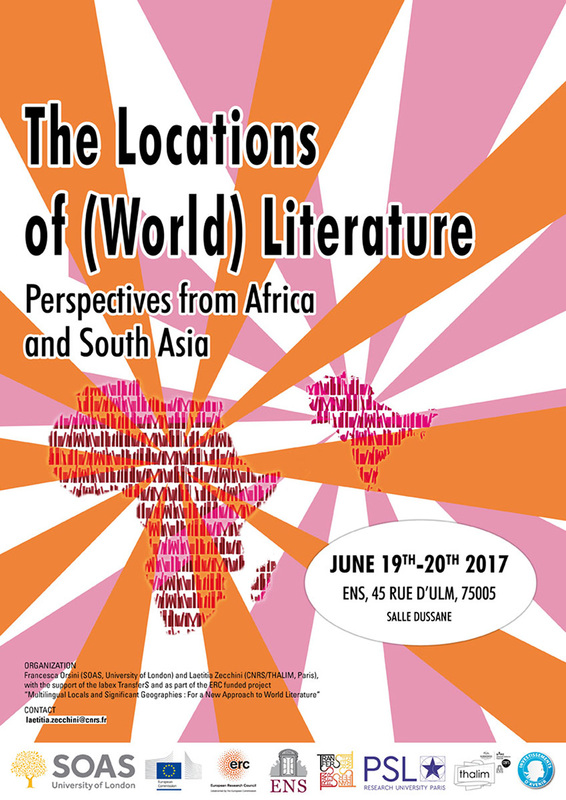 The aim of the conference is to look at the ways in which modern and contemporary South Asian and African writers who produce their work from specific locales consider their place in the world, in world literature, in the wider geographical regions (Africa, South Asia, etc.) or national literary histories in which their work is often read or identified with. How do these writers work through, use, challenge or re-invent the macro categories (region, nation, sub-continent, continent, world), with which literary histories are written and literary cartographies constituted ? What is the relevance of these geographical categories, and how are they often reallocated or realigned ? What worlds do these literatures simultaneously inhabit and create ? By postulating the plurality of the literary geographies/cartographies to which many South Asian and African writers belong, we postulate that these situated practices are also worldly, and always already connected to wider “significant geographies”, whether real or imagined.